Rick Chiarelli was born and raised in College Ward. He grew up in a small business family. Rick and his wife Lida (nee Fiala), who also grew up in College Ward, live in Lynwood with their three daughters. Rick has a B.A. degree in Communications and a B.S.Sc. degree in Economics. Rick received his Law Degree from the University of Ottawa. Rick's interest in local issues is long-standing. He was a young political activist and achieved Province-wide notoriety early on. This led to Rick, while still a teenager, becoming the youngest person elected in Ontario when voters chose him to be a school trustee representing Nepean in the 1980s. Later, Rick completed three terms on Nepean City Council where he also served as Acting Mayor. As a member of Nepean's General Policy and Administration Committee, he helped freeze or cut taxes for seven consecutive years. With fellow Councillors, he staunchly defended the "no borrowing" policy ("Pay-As-You-Go Policy”) that made Nepean debt-free. This now famous policy was initiated by Andy Haydon and institutionalized by Ben Franklin, along with his like-minded Council colleagues, including Rick. As a councillor with the new City of Ottawa, Rick represented a ward that was double the size of the ward he had represented in Nepean and the job was designated a full time position. The new Ottawa ward included both the previous Nepean Centre ward and the previous Carleton ward. In the new Ottawa Rick took on a number of responsibilities with a city-wide focus. He was elected to chair Council's Long Range Financial Planning Committee. The plan it produced was cited by officials at Moody's Investment Services as one of the key reasons the City was given a AAA credit rating - the plan was designed to gradually lead the new Ottawa towards more of a Nepean-style finance system. Progress was made toward that goal. The new Ottawa established a minimum reserve fund level by-law and taxes were around or below inflation throughout his term as Chair. He also chaired the City's only Core Service Review which identified a number of cuts and realignments that could make local government more efficient and gave Council an opportunity to reinvent local services over the next decade. Some of these measures were adopted. In 2006, we had a new Mayor and Larry O'Brien wanted to demonstrate his commitment to finance by taking over the Chair of Long Range Financial Planning. Rick stepped aside to allow this to happen. Rick was also chosen to Chair the 15-member Ottawa Public Library Board during its difficult time of amalgamation (2000-2006). The result of the team effort he led: Library services were the only part of amalgamation which emerged with fewer employees and a higher level of service as compared to the pre-amalgamation period. Following this overwhelming success, Rick and the new Ottawa Public Library were honoured in Toronto by the Ontario Library Association. It granted Rick and the Library Board a Special Provincial Award for Exceptional Achievement and extraordinary leadership and creativity during amalgamation. Midway through his second term on Ottawa Council, Rick supported the creation of the office of Auditor General to help identify financial abuses within the larger amalgamated bureaucracy and to find efficiencies for taxpayers. Contrary to the assumptions of many, the annual reports from the Auditor General do not just sit on a shelf, and Rick Chiarelli is one of the people who makes sure that doesn't happen. Rick, and three others, were chosen by their colleagues on Council to be members of the Council Audit Working Group. CAWG is the City Council sub-committee that has successfully overseen senior City management to ensure that the hundreds of recommendations made each year by the Auditor General are actually implemented to protect taxpayers' money. Rick is also an active member of the City's Technology Committee where he recently introduced a proposal to establish the "O Card" smart card. The "O Card" will be refillable by residents on their home computers and it will allow the same card to be used as a smart bus pass, a library card, a registration card for city recreation and cultural programs and for billing inquiries. It will also eventually allow residents to refill their expired parking meters via their cell phones without even leaving the meeting, dinner etc. they are at. The "O Card" has the potential to save taxpayers millions of dollars through reduction in the size of various City billing departments. Rick has also made significant strides in other areas. He is one of the driving forces behind the rejuvenation of Lansdowne and he has played a key role in the major new developments in the Baseline/Woodroffe area and in the renewal of community amenities in Qualicum-Graham Park. Right after the most recent election, Bells Corners finally fell within his jurisdiction and Rick has begun an ambitious program to renew Bells Corners for residents and businesses. It is already producing positive results. 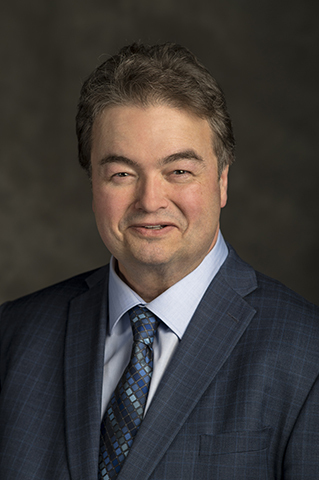 In addition to all of these roles, Rick Chiarelli is a member of the City's Corporate Services and Economic Development Committee, the Community and Protective Services Committee, the Bells Corners Business Improvement Area Board of Management and the Nepean Museum Board. Rick grew up in the ward and graduated from St. Pius X High School where he was selected FCEAO Ontario Student of the Year. Rick was honoured with a 1999 Community Achievement Award from the Federation and Culture Club of Ottawa-Carleton. As well, on Nepean Council, Rick was founding Chair of the Environment Committee, Chair of the Public Library Board, Chair of the Forum of all of Ottawa-Carleton Public Library Boards, member of the Economic Development Committee, Public Works and Planning Committees and was Council's designate to draft the City's Emergency Plan. He was Chair of the Governance Committee where he successfully battled to protect residents' reserve funds from the amalgamation process and to question the promoters of local amalgamation who were promising enormous tax savings. Rick served as a member of the former city's Housing Corporation and was later appointed to the Housing Board in the new Ottawa. He was founding President of the Alliance To Save Our Greenbelt, and Chair of Nepean's Committee Against Impaired Driving and has Chaired Licensing Committee and Communications Committee.